In 1980, when I was younger about 8 years old, I went visiting a family friend but when I arrived at their house there was nobody at home. Then, I decided to wait in their sitting room. As I sat there waiting for any of the family members to come out, my eyes caught a picture hanging on the wall. The picture was that of a man in dreadlocks and I did not know who he was. Since I knew everybody living there I thought to myself this picture looks different. So, I decided to walk closer to the picture to look at it up close. As I walked closer to the wall, just about 2 feet to it I felt something like a magnetic field which kind of held me in one position and I began to look at the picture up close and personal. The picture was personal to me because that was the first time I saw someone in dreadlocks. As I stood there face to face with the picture, something beamed from it's eyes to my eyes. Then, I began looking at the picture eyeball-to-eyeball. As I continued looking at it, the picture’s eyeballs rolled just like that of a living human, and it began to smile- literally!. I was so afraid and I had to run away from the room because it scared me. I've never seen such before!. This's just one of many of such bizarre experiences that I've had since I was young, and I still do experience similar mysteries in my life. It took me many years to realize what just happened was an initiation into the body of an army to war against spiritual wickedness, principalities and powers that control the world's system of things. Who was the person on that picture? After this incident, I kept on wondering who was on that picture because I still did not know who was on the picture. I didn’t know his or her name until 1994 when I was already grown. It happened that when I left the village and came to the city I started selling CDs (compact disc). That was my first business. I have always sold Bob Marley's CDs but I didn't care about his music. To me, he was just one of those musicians and I didn't think there was anything special about his music. 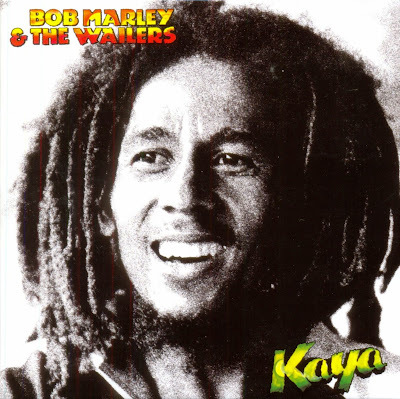 But on one good day, I came across this CD of Bob Marley titled "Kaya" that I've never sold or seen before. Behold, when I saw the picture on the CD I immediately had a flashback and I remembered perfectly it was the same picture on the wall that smiled at me when I was younger many years ago. That was how I made a connection with the spirit of Bob Marley and began listening to all his CDs. Finally, I fall in love with Bob Marley songs because I realized it was a gospel message from God. Back to the topic: Elite brainwashing, the last stage of mental slavery. The brainwashing of elites of third world countries is the last stage of mental slavery. This message is not about me but about Bob Marley, mental slavery, and white supremacy, it’s modus operandi in colonial and post-colonial Africa, and how Marley incredibly understood it’s operation without a university degree. Bob Marley was a super-human to have known this. He's a spirit!. In one of his interviews Bob Marley was asked; do you regret not going to school? And he replied saying NO. Then, the interviewer asked him; WHY? And Bob Marley replied saying, "if I was schooled I would've been a damn fool". It's over 20 years I watched the documentary where Bob Marley made the above comment. All along, I didn't understand what Marley meant until I grew up and was so fortunate to receive a revelation in 2012, in which I was told why Africa is technologically backward and poor. That revelation changed my life and have inspired me to write songs, write a book, register a charity. It also challenged me to keep researching as I try to get to the root of the problem of Africa. This research had led me to the shocking but sad realization that colonial western education was set up in Africa not to educate the people but as a brainwashing institution. Colonial missionary schools were not separable from colonialism. It was one and the same thing!. It was designed to carry on the works of slavery and colonialism. It was invented to carry-on the spread of mental slavery in order to undermine African opinions, heritage, worldview, history, e.t.c. The colonial and post-colonial model of education that we still practice today is nothing but a process to get Africans trained to rebuke their Africaness but instead embrace western ideals. Believe it or not, it was designed to strip us of our Africaness and make us consider ourselves inferior to a white man. Western education is all part of a colonial instrument designed to keep control of the mind of an African. Colonialism has not come to an end, it is still in operation as intellectual slavery and it will not end until third world countries create their own model of education, devoid of western influence. Western missionary schools in all third world countries which is where our modern educational curriculum came forth was all part of colonialism. It was originally set up as a brainwashing institution. This curriculum and it's value system must be scraped all over Africa as it's system of education does not allow African students to conceptualize a subject or topic. It kills real learning and gives junk education as it's produce. Using education as a tool, the British and French have made sure that if you're an African physicist, you'll only be a physicist on paper. And if you're an African chemist, you'll only be a chemist on paper. This's why Africa cannot develop industrially. And this is why even if you travel to US or UK with an African awarded Ph.D., masters degree, e.t.c they will not acknowledge it over there but will ask you to repeat classes because they know what you have is a substandard education. By the way, the act of asking African certificate holders to repeat classes in itself is all part of the game to make you feel inferior. This's what Bob Marley was talking about!. It is not surprising then why Bob Marley in one of his song urged Africans and indeed all black people to "emancipate yourselves from mental slavery, none but ourselves can free our mind". 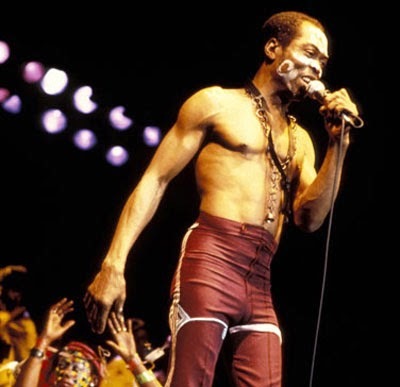 Mental slavery is what Fela Anikulapo Kuti called "follow-follow". And I call is elite brainwashing. Elite brainwashing is real, and this clandestine western scheme is happening under our nose, of course without our knowledge. This phenomenon is so incorporated into the minds of Africans and continues to be a threat to Africans and other third world countries. Mental slavery is the act of controlling the mind of Black people. It’s a very sophisticated scheme to get black people to continue to behave like field slaves and be subject to white man's control even though you're free and no longer in chains. To hide it's ugly self, it’s operation is subliminally incorporated in the system of education itself in third world countries, and therefore, in schools as well as in the media; TV, radio, newspapers, speeches, government policies, e.t.c. (1). It is believed in Africa that if you school in Britain, or the USA, you'll automatically become more intelligent than someone who schooled; say in a university in Kenya. This phenomenon alone is the reason people who schooled abroad get jobs more easily than someone who schooled in Africa, even when the person schooled in Africa is more intelligent and better for the job than the western schooled. (2). It is believed in Africa that you'll automatically become rich if you travel to the USA or Europe. Many Africans believe there’s no poor man in USA or Europe because it’s a white man’s country and money grow on trees over there. (3). Mental slavery is what makes you think that every white man is educated, when in fact you'll find many stark illiterates in western countries as well. 4). Many years of slavery and colonialism has made many Africans believe that God or Jesus is a white man while Satan or devil is a Black man, when in fact, the bible itself is littered with verses after verses suggesting that Jesus was a Black man. Jesus Christ was a black man and was killed because of the same old persecution black people have endured from all parts of the world since time immemorial. Jesus Christ was killed for the same reason Martin Luther King was killed, He was killed for the same reason Walter Rodney was killed, He was killed for the same reason Malcolm X was killed, He was killed for the same reason Nelson Mandela was sentenced to death, He was killed for the same reason western powers unseated Kwame Nkrumah from power, He was killed for the same reason every other black hero suffered attacks. Jesus Christ was killed for being a threat like the people listed above once were. He was killed for being a black hero!. Now, note that I am not a religious person and I am not interested in religion, rather, all I am saying is that the Jesus described in the bible was black, because the bible itself says so. See Jesus Christ was a blackman. 5). Mental slavery is what makes many Africans believe that a Manchester United Vs Arsenal football match in far away United Kingdom is more important than an Enyimba Vs Kano pillars match in Nigeria. 6). Mental slavery is what makes a beautiful African man or woman to bleach his/her skin to make it white since he/she believes white skin is better than black skin. Manifestations of mental slavery are too many to mention. (7). Mental slavery is what makes you believe that every item imported from Europe, US, is more superior than that produced in Africa. (8). Mental slavery is what makes you consider someone that speaks English or French fluently as an intelligent person, even though you may be more intelligent than him/her. Follow-follow is an inferiority complex/mentality that makes Africans copy anything from western nations without asking a question. Follow-follow is what makes you think something must be better, cool, true just because a white man does it or said so. It's what makes Africans copy anything from western countries; music, lifestyle, fashion, government policies, intonation, e.t.c. Elite brainwashing is the last stage of mental slavery. It's the last quest by western nations to control the mind of African elites, and indeed all third world countries. Neo-colonialism incorporates elite brainwashing. Elite brainwashing is not new but it’s a re-invented and ongoing clandestine policy by the west to brainwash elites, not only in Africa but in South America, the Middle East and parts of Asia. This clandestine policy ensures that elites of third world countries are transformed to westerners mentally. That's making them an African by look but a white man by mind. What makes this extremely very dangerous is because it is targeted at the elites, African leaders and leaders of third world countries worldwide. It's ultimate goal is to put a government in the pocket of western nations, then the leader of such a nation will, in turn, have citizens automatically embrace anything western. (1). Ever wondered why your brother or sister who traveled to America or Europe to study was enticed not to return to Africa to practice his/her career at home? (2). Ever wondered why African politicians will steal money from Africa then run to Europe or America to keep it? (3). Ever wondered why every mother from third world countries now want to travel to the US to give birth? (4). Ever wondered why radio presenters in your country speak in a foreign accent? (5). Ever wondered why an African parent will train his/her children not to speak our native language but will instead train them to speak English or French? (6). Ever wondered why your ministers and government officials travel to Europe and US at the slightest need for a medical check-up? The above are elite brainwashing in action!. The whole phenomenon of propagating mental slavery is rooted right in the school curriculum in African schools even today!. Indeed, Kwame Nkrumah noticed the problem with education in Africa. After observing that colonial missionary schools curriculum was Euro-centric, and that it carefully excluded African religion, culture, and history, he said ‘’under such a system of education the youth of Africa is not prepared to meet any definite situations of the changing community except those of the clerical activities and occupations for foreign commercial and mercantile concerns’’. And he concluded by saying ‘’any educational program which fails to furnish criteria for the judgment of social, political, economic, and technical progress of the people it purports to serve has completely failed in its purpose, and has become an educational fraud’’. This’s exactly what Bob Marley was talking about!. Colonial missionary education and it's copied model in Africa is a fraud!. It’s all part of slavery/colonialism!. African academics, educationists, should begin questioning everything taught Africans both then and now. We must create our own model of learning, and we must begin un-learning so much of the rubbish that has already been packed into our minds courtesy of many years of slavery and colonialism. As I continue the research on the problem with education in Africa, it's becoming clearer to me by the day that education in Africa and indeed all third world countries was set up as a brainwashing institution and not something to benefit the indigenous people. I'll like to prove the above with physical evidence. Evidence from artworks in sculpture by Africans before slavery proves that Africa had a system of education with a curriculum created by we Africans. This education and it's method of teaching and learning was completely African oriented, and by the time you pass through it, you'll come out as an African educated and not a sort of Euro-Afro hybrid intellectual. What I mean is you'll come out original like Japanese or Chinese or Russians people do today. Look at the dexterity of this piece of art!. Do you think the person that carved this in 1200 AD didn’t pass through a well-established education about carving? Whoever made the above piece of artwork in 1200 ADs from Benin kingdom Nigeria was a highly educated person in sculpture. It would have been impossible for an illiterate to create such a masterpiece at that time. Remember, it was made with bare hands!. But there's no doubt that whoever designed it was well schooled about the art of sculpture, which is still being offered in colleges/universities today. 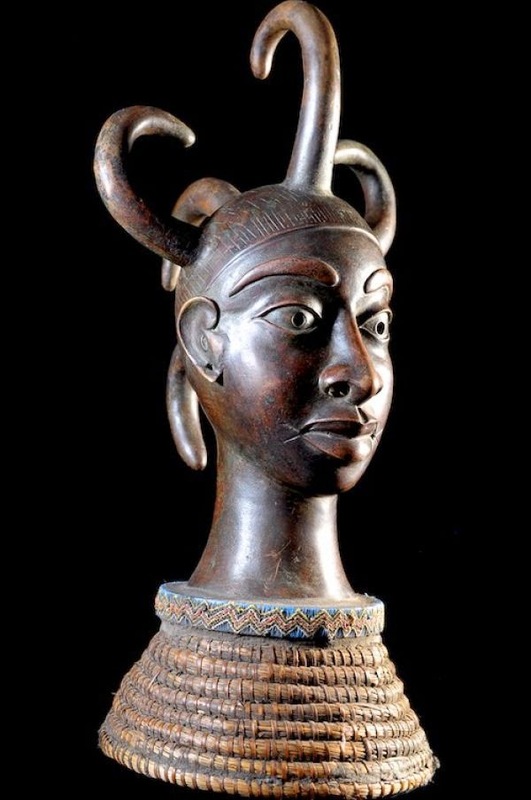 As a matter of fact, Europeans were so marveled at Benin kingdom artworks that they believed they fell from the sky or made by the gods, and not by Africans. See for yourself as they confess in the videos below. The reason I'm pointing this out is because for centuries we Africans have been schooled to believe that white man brought us education and civilization, when in fact we Africans were strong on our own feet academically, much better economically and prosperous as a people before our unfortunate contact with Europeans. We were talented and educated builders (technologists), and with little resource could create anything, until our unfortunate contact with Europe. It’s clear this capability that we had attracted the envy of Europeans who destroyed us as a people. Remember, when you’re on top there’s envy..…. Nas. In the second video above, you could see clearly that the British envied the ancient prosperous Benin kingdom and sought to destroy them. It’s also evident in all the above videos that there was no significant difference between development in Europe and Africa by the time Europeans made contact with us. When the Dutch first visited Benin kingdom, the Dutch expedition leader was so shocked by development he saw in Benin kingdom, and he wrote in his jotter describing his observation thus ‘’ The town seem to be very great. When you enter into it you go into a great broad street, well paved, which seems to be seven or eight times broader than the Warmoes street in Amsterdam. The king’s palace is a collection of buildings which occupy as much space as the town of Harlem, and which is enclosed with walls. There are numerous apartments for the Prince’s ministers and fine galleries, most of which are as big as those on the exchange at Amsterdam. They are supported by wooden pillars encased with copper, where their victories are depicted, and which are carefully kept very clean. The town is composed of thirty main streets, very straight and 120 feet wide, apart from an infinity of small intersecting streets. The houses are close to one another, arranged in good order. These people are in no way inferior to the Dutch. They wash and scrub their houses so well that they are polished and shinning like glass‘’. The above was the report that a Dutch expedition leader sent back to Europe when the Dutch first made contact with the ancient Benin kingdom. And this scenario wasn't peculiar to Benin Kingdom. The Ashanti king in ancient Ghana kingdom was so rich that his official seat was made of REAL gold. Africa was extremely very prosperous before Europe made contact with us. Ghana kingdom, Zulu kingdom, e.t.c. Question is; why are we no longer building? Answer: Education has been messed up in Africa. The previous system of education that we had, I mean the pre-colonial model of education that was grounded in African ideals, that saw the Benin kingdom and Egyptians build architectural wonders has been stripped away by imperial powers and replaced with a brainwashing colonial model of education to make Africans forever inferior. See intellectual slavery, the worst legacy of colonialism. Built around 2630 BC. Over 2,000 years before Christ!. Do you think the people that designed the pyramid in 2630 BC were not educated? 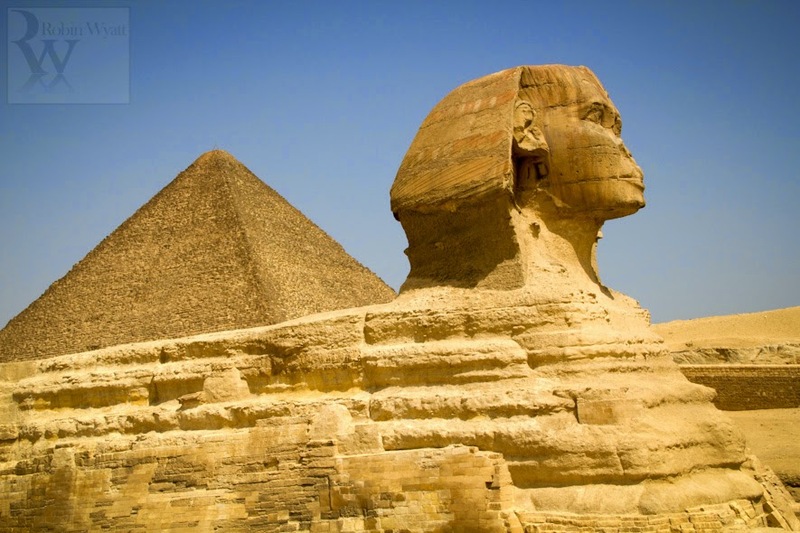 The Egyptian pyramid was built long before Europeans made contact with Africa. To build this pyramid even today requires an advanced knowledge of mathematics, structural design, physics, geometry. An uneducated people could not have built the pyramid!. For thousands of years, Africa was the center of learning and knowledge. Indeed, the first 3 universities in the world were all located here in Africa. They include Fez university in Morocco (north-west Africa), Al-Azhar University in Egypt (north-east Africa), Sankore University in Timbuktu, Mali (west Africa). These universities predate almost all European universities and indeed any other in the world. In fact, Europeans and Asians studied in Africa and they said so. Pythagoras, a Greek Mathematician wrote that he studied Mathematics in Africa along with many other Greek intellectuals of old. We could have actually sustained our development, if slavery did not happen. In the face of hard evidence, Europeans at least admit that Fez university in Morocco is the oldest educational institution in the world. But, what they don't even know is that Sankore university in Mali predates Fez university in Morocco. Its so sad nobody knows how many of such universities that must have been scattered all over Africa, but forgotten by history. I' am certain we would have been like Japan or even better, because many parts of Africa were already ahead of white people before slavery. How sad, western education after subduing Africans, created a brainwashing education to teach us they gave us what we actually gave them!. And the problem is even so called educated people; including PhD holders in Africa believe them. The given links are research works based on facts as you can see for yourself. But, today those facts have been doctored through brainwashing education and the real protagonists renamed, deleted from the history books or facts twisted to favour the west. Indeed, it's because we Africans allowed ourselves to be manipulated by foreigners that we're in the situation we find ourselves today. We accept whatever the west tell us; hook, line, and sinker. African academics and educationists; a product of fraudulent colonial education do not question anything imposed by western nations. As far as they’re concerned, anything a white man do is the best and anything he say is true and not to be challenged. In school, we were told that Mungo Park discovered the river Niger. But now I've grown old and I dispute that claim. Mungo Park was born in 1771, and before he was born, local Gambians, Senegalese, and Malian fishermen had been fishing and trading along the river Niger for centuries. How could Mungo Park have discovered the river Niger; when he was born in 1771? Before he was born, Malian and Senegalese fishermen knew the river inside out like Niger Deltans know the creeks of the Delta region. Indeed, Mungo Park did encounter many indigenous African people while on his voyage along the river. After Mungo Park died along the river, the following is what’s written in part of his biography ‘’The British government engaged Isaaco (an indigenous tour guide) to go to the Niger to ascertain Park's fate. At Sansanding, Isaaco found Amadi Fatouma (another indigenous person) the guide who had gone downstream with Park, and the substantial accuracy of the story he told (about how Mungo Park died) was later confirmed by the investigations of Hugh Clapperton (British man) and Richard Lander (British man). 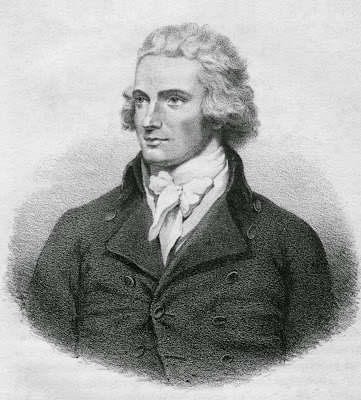 See Mungo Park: Wikipedia page. As you can see from the above link, Mungo park eventually died along the river and was buried by indigenous African people. So, my question to Nigerian educationists and academics is; how could Mungo Park have discovered the river Niger; when Africans were the one showing him the routes along the river? Must white people write our own history? I feel so sad that African educationist and academics just fold their hands and allow foreigners to write our own history. But, how can I really blame you? This’s of course, a result of the brainwashing education obtained from western models. Well, Mungo Park may have discovered the river Niger, but he only did that for British people and not for Africans, because Africans have known the river even before he was born. Therefore, learning in school that Mungo Park discovered the river is an academic fraud against Nigerians!. 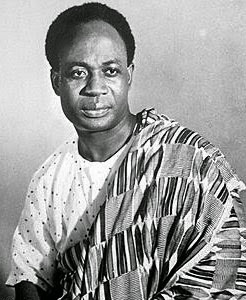 Do you now understand what Kwame Nkrumah meant by educational fraud? Do you now understand what Bob Marley meant? The ancient Benin kingdom arts, the Egyptian pyramid and the Mungo Park example are just a few of such. Such examples are littered in history books and in other subjects, and learning such is toxic education. As you can see, western education is designed to make Africans feel and look inferior. The original goal was to strips us of our Africaness as a people and make us educated fools. It effectively makes you a sub-human who must look up to a higher reasoning for knowledge. Education acquired from western curriculum or western model is junk education!. Again, my question to African educationists and academics is; must we wait for white people to tell us what to believe? Can't we Africans create our own knowledge base of what to and what not to believe? But then I remember it can’t be done because creating our own system of education will not require you but will require someone who wasn't educated through the same system. In order for Africa to develop, we must create a new model of education that’s grounded in African philosophy and history, a model of education without colonial hangovers, the same model of education the Japanese, Chinese, Koreans, Russians have used to acquire knowledge to build technological wonders and went to the moon without western influence. I am talking about a model of education that will work for Africa!. I spit on African leaders. I vomit on African educationists. I spit and vomit on African elites. If you’re interested in knowing more or helping actualize this dream of mine for an education revolution in Africa read this. This read is expository, to say the least. Thanks for bringing to my attention.